Save time and kitchen cleanup by cooking your eggs in a microwave-safe mug. 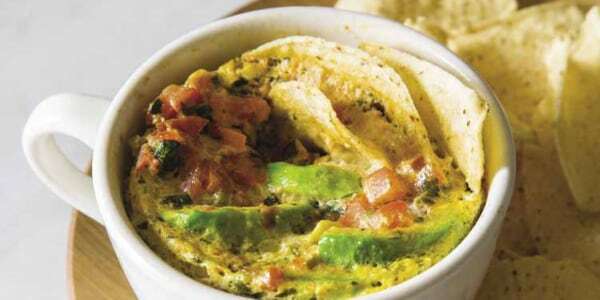 Here's how to make scrambled eggs, poached eggs and huevos rancheros. Eggs are a nutritious, protein packed and satisfying breakfast — or lunch or even dinner for that matter. They're pretty easy to cook, too, but our little friend the microwave makes them even easier to prep — and cuts down on cleanup time because there's no dirty pan to wash. So save yourself some time and hassle, and learn to make poached eggs, scrambled eggs and even huevos rancheros in the microwave. Crack an egg into a microwave-safe mug or bowl, add 1/3 cup water and 1/2 teaspoon vinegar, cover the bowl with a plate and cook on 50 percent power for one minute. If yolk is not set, continue cooking in 15 second increments until it is. The egg will be perfect — with set whites and a runny yolk — and ready to adorn your avocado toast in no time! Butter the inside of a coffee mug. Whisk together 1 egg, 1 tablespoon of milk, a pinch of salt and a pinch of pepper. Cook on high power for 40 seconds, until the mixture is partially solid. Stir with a fork to break the egg into smaller curds and then stir in a large pinch of shredded cheese. Nuke it for another 10 seconds and it's done! The cheese will be melted and the eggs will be fluffy and tender. Try adding some chopped chives, crumbled bacon or smoked salmon for extra flavor. In a jumbo mug, combine 1 tablespoon olive oil, 1/2 scallion (chopped), 1/2 cup chopped tomato and 1/4 teaspoon cumin, and heat in the microwave for 1 minute until scallion is translucent and the tomato softened. Then, stir in 1/2 avocado (diced), 2 tablespoons salsa, 1 tablespoon cilantro (chopped), 1 dash hot sauce (such as Tabasco) and 1/4 cup grated cheddar cheese. Crack 1 large egg over the mixture and season wth 1/4 teaspoon each salt and pepper. Insert 5 to 6 tortilla chips and nestle them down into the egg mixture. Microwave for another 1 to 2 minutes, until the egg has set. Serve immediately with a dollop of sour cream. This post was originally published June 1, 2017.